The story is about a boy riding in the back of a car with his Dad. He tells his Dad that their car was OK, but if he built a car it would have all these amazing things like a snack bar, the ability to go on water, under water, fly, drive on autopilot, and more exciting things. It is such a fun story. 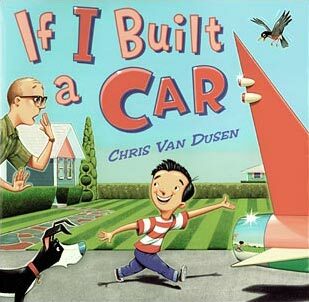 As soon as I read it to my kids they started telling me all of the fun things that they would put into a car that they built. 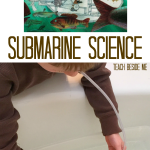 I teach a little “Five in a Row” book club at our homeschool co-op and it was my turn to teach last week. I knew right away that I wanted to use the book If I Built a Car for our lesson. 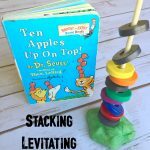 It was fun to come up with some activities to go along with the book for the class. There are fabulous illustrations that make the kids just giggle. After reading the book to the class, I loved hearing their minds go on about what they wanted to include in their cars that they invented. I gave each of the kids a little paper asking them what they would put in their cars. The back side was blank for them to draw their cars. They spent so much time working on these and it was wonderful to hear how creative they were. 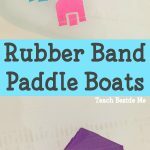 I found a free If I Built a Car printable from Growing Kinders that I used for this activity. Next I had some Lego Cars built that we propelled with balloons. This was so much fun and so easy to do. My kids have played with these over and over again at home. You just need a car (or platform with wheels attached) and a place to insert the balloon. I blew up the balloon, then twisted it a little to keep the air from escaping. Put it in between two little towers with a block on top to keep it in place. Give it a little nudge and the balloon will propel the car! 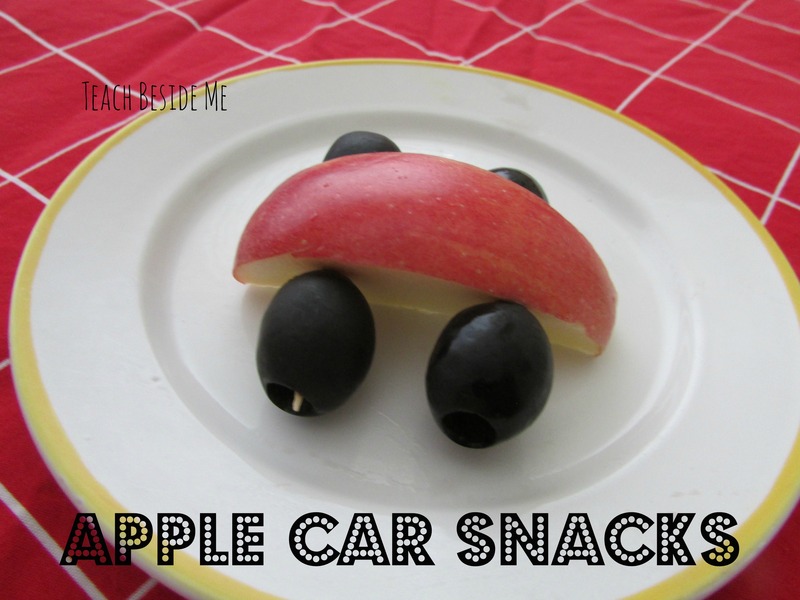 Finally we made a simple car snack with apple slices, toothpicks and grapes (or olives). Just slice the apples and put 2 toothpicks through each apple and attach 4 grapes or olives for the wheels. I used grapes in the class, but at home my kids wanted to make them again with olives. These are yummy and healthy, too. I let the kids make them on their own and they loved it!!! It looks like you have a great time. Our boys love playing with lego and are great at making their own cars but we have never tried making a balloon propelled car. 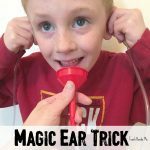 We will have to give it a go! We happened upon this book at the library, too and really enjoyed it! 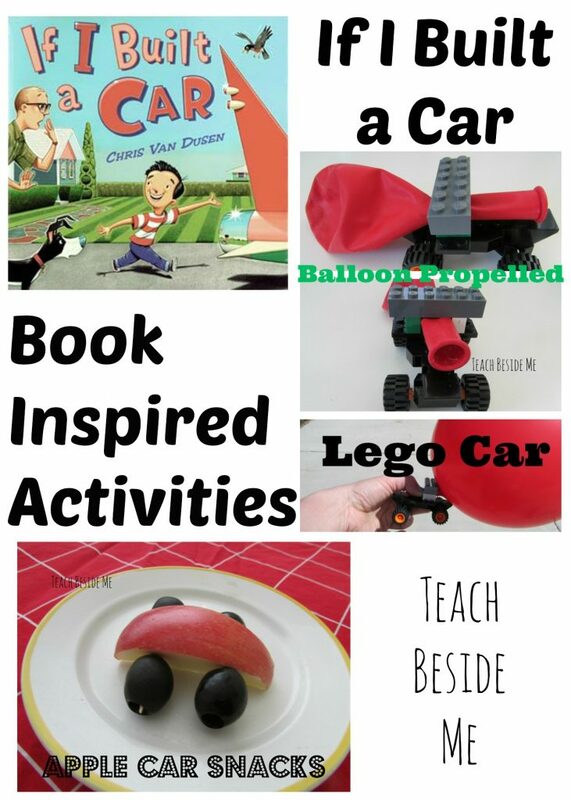 Glad to see you did this for Poppins Book Nook– great activities. 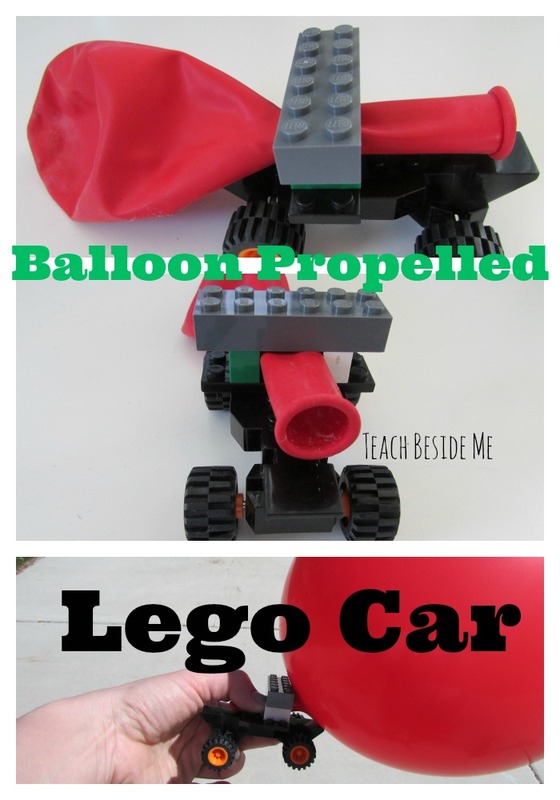 I think my son would really like to try out a balloon powered lego car! That is the coolest snack! My kids would love the book, the legos and the treat. Thank you for inspiring me!